This post is sponsored by Colgate as part of their #SonrisaColgate campaign. Opinions are my own. 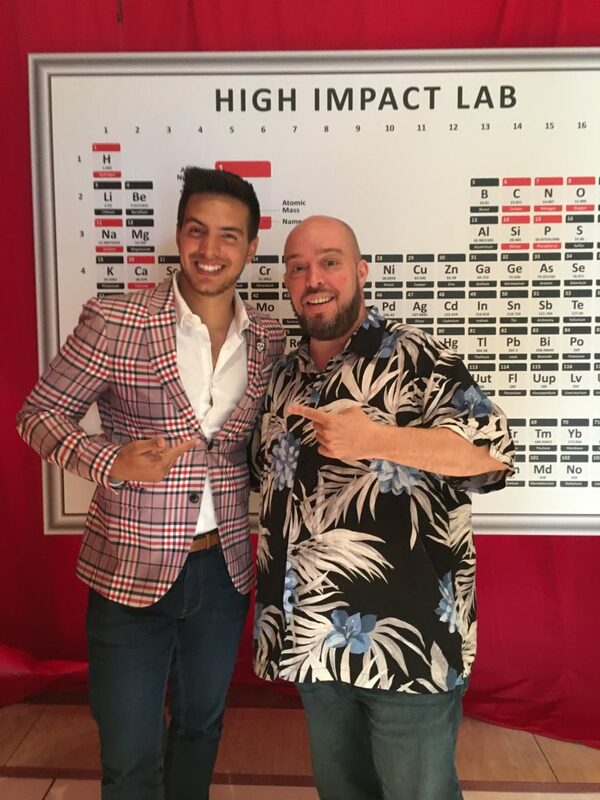 Last week I was in Los Angeles, attending the third #HispzLA conference and meeting with many of my clients and peers in the social media space. Many of them excited about the prospect of connecting with new brands but very uncomfortable about the process of networking. Inspired by the prevalence of this gap in such a critical competency for an entrepreneur, I decided to put together a list of tips to make your next conference an amazing success. Learn how to introduce yourself and practice. I start each one of my #InstaClass sessions with this exercise called Love Hate Create I learned years ago. Taught by my good friend Nancy Marmolejo, this exercise will have you standing out in almost any setting. You will reframe your passion and present yourself as a valuable resource to solve problems. Pro tip… practice makes perfect! Know how to show up and do it with a smile! Connect with the organizer and find out what the dress code is, and adhere to that. Being overdressed / underdressed are equally unacceptable. Many great relationships start with a handshake and a smile, so make sure that yours is on point. That and your authenticity will be essential to making a great impression. Pro Tip: Make sure you are on time and ready to engage new people. Your goal should be to make a new friend and potentially add value. Networking events can be awkward and full of people all doing the same things, shoving cards in peoples faces, talking about themselves and moving on once they finished their intro. Personally, I like to people watch and make sure I turn the tables on the people I am meeting. My goal is to find out as much as I can about them and how I can potentially be a resource to them. I normally keep the cliche “let’s do lunch or I think we should collaborate” comments to a minimum. I want to meet them, see who they are in person, research them and them connect to make sure they are the real deal before committing to anything. Pro Tip: The only thing I commit to, is being a resource if they have any questions regarding Social Media / Marketing in which I can guide them to a solution. If they check out… the solution is likely to be me. Follow Up… is where most of us drop the ball. If I shared how many times I came home with a pocket of business cards and did absolutely nothing with them… you would probably appreciate my honesty and acknowledge your own gap in this very important aspect of networking. Inspired by that gap in my own process, I created this post in 2012… and it is still super relevant… check it out the original post here. Pro Tip: Read thes bonus tips now… and act on it! Here are 5 BONUS tips on how to reconnect with your new contacts. Tip #1 – PLAN TO RECONNECT: Go thru all the business cards you collected from people you met and sort them in a way that makes sense to you. I usually sort by bloggers, brands and agency and I put a keyword on each card to help me remember what I had in mind for each connection. This will help you prioritize with projects and/or ideas that may be time sensitive. Tip #2 DON’T RUSH: You are not alone… everybody is tired and need a few days to decompress, re-engage life and worth thru their business card stack. Take 48 hours to handle your day to day business, spend time with family and then come back to your sorted business card stack. If you try to rush and get your email out before everyone else’s… you run the risk of your email getting buried and lost forever. Tip #3 GET TO KNOW THEM: Take a moment and see what the person you want to connect with is doing. You need that to fully understand the scope of how you will connect with them. It may help you uncover opportunities you that are not as obvious when you are in regular conversation. Tip #4 BE YOURSELF: Make your email personal, these people have learned, shared and partied with you and have a pretty good sense of who you are. Connect with them in your natural “voice” and highlight memorable parts of your shared interaction. Make all emails short and sweet and most importantly actionable. Tip #5 STAY CONNECTED: Alway create opportunities to further engage beyond that first email wherever they tend to hang out socially. By doing that you will build a deeper relationship that will open future opportunities to work together. Read more: 5 Tips on How To Effectively Reconnect With Your Hispanicize Friends. I hope these tips add value to your next conference trip so definitely drop me a note and let me know if there are any tips you would add. Also… I want you to understand how important your smile is that I want to invest in it for you. 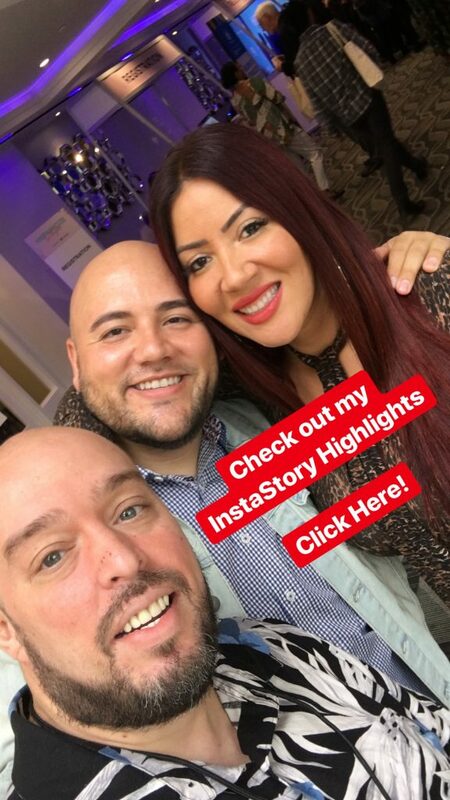 Post a picture of your smile with hashtags #sonrisacolgate & #socialsofrito on Twitter or Instagram and you will be entered to win a $25 gift card courtesy of Sofrito Media Group so that you can invest in some Colgate Optic products.